Lunch boxes have been around for many years and have been used by many people of all ages. You will find that there are many great boxes that you can choose from that are made of many different things. Some are made of canvas type materials and some are made of metal. You will find lunch boxes for adults and those that are made for children. Many adults may prefer to have an Elvis Presley lunch box or a Marilyn Monroe lunch box. 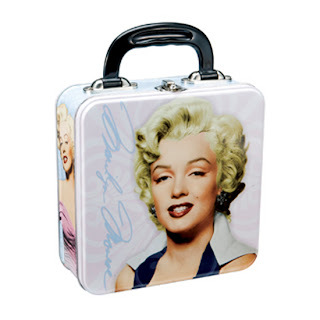 You might find that the Elvis Presley lunch box and the Marilyn Monroe lunch box would be collector’s items, but of course if you still wanted to use them to take your lunch in that would be your choice. Metal lunch boxes that are in good condition and are from years gone by can be worth a lot of money and can be great collectors items for many people. An Elvis Presley lunch box and a Marilyn Monroe lunch box that are in pristine condition can bring a lot of money from avid collectors. Some other great lunch boxes for adults might be something like Hop A Long Cassidy or even Andy Griffith. There are some great metal lunch boxes for kids that can be great collectors items too. Some of the older themes from Movies such as Star Wars or some musical bands such as the Monkeys might be a couple that are worth collecting. Back in the day, no one probably ever thought that a lunch box could be worth a large amount of money. Today there are many that are being sought by avid collectors. You probably never imagined that the old box that your mother used to pack your lunch in would be come a much sought after collectible. You may recall your grandfather carrying one of the old lunch boxes that were made of silver metal, even those can be found in some of the antique stores and at flea markets with a price that is much higher than what it cost your grandparents to purchase. Many women and girls are using the old collectible boxes as purses. They're very attractive and stylish these days and are perfect for holding their items. The next time that you are shopping for antiques or collectibles, keep your eyes peeled for old lunch kits that have become rare and must have items amongst today’s shoppers. You won't believe the value of them in today's market.